the lso are conducted by john williams (b. feb 8, 1932). they have worked with: rick wakeman, emerson, lake & palmer, ian anderson, peter knight, andrew lloyd webber, leonard bernstein, malcolm arnold, manuel barrueco, frank zappa, michael crawford, john williams, the moody blues, justin hayward, scott johnson, kitaro, richard rodgers & oscar hammerstein. their discography is immense. instead, here is the amg review of volume one of the fz lso recordings. whilst at warwick university, i met a guy who's familiar with a number of professional musicians, including a bassoon teacher who plays with the lso. i had him look through the names on zappa's lso album, and he picked out one john lawley (oboe) as someone he and his family knew quite well. i asked if he'd mind if i wrote to him; he said he didn't. i wrote and asked john lawley if he'd mind telling us about those sessions; he said he wouldn't. i emailed him a bunch of questions to answer; and he did. so here they are. the comments in square brackets are mine, added after the event. thanks for your letter that i received today. 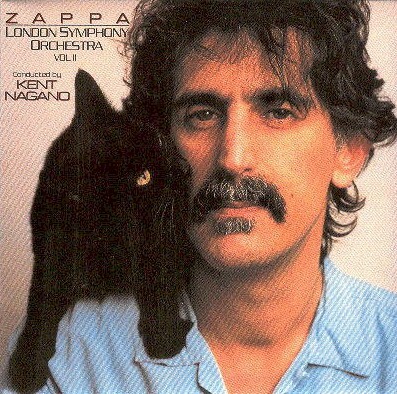 i am very happy to answer questions about zappa - i have many memories of that album - not all good! he was an incredibly talented but difficult man! i'm just a bit amazed it was 1983! you were just about born i expect! i am going to new york with the lso and boulez tomorrow (8th march) and will be back on the following tuesday, which is the 14th march. please leave the questions on my e mail to await my return or you can phone me after that. aj: in the 'real frank zappa book', zappa says that the orchestra decided not to take a holiday period, but instead voted to do his sessions. how did this come about? jl: i don't remember being asked about holidays! the rehearsals were from january 7th 1983 and before that we had the last 5 sessions on a film called krull with james horner, so there is no truth in the holiday change idea. in fact, in those days the orchestra didn't have a fixed holiday period (although we do now) and each player took time off at a time to suit themselves, with very little pay. aj: how long before first rehearsal did the musicians see the sheet music? aj: how difficult was the music thought to be, with regard to polyrhythms etc? jl: the music was considered to be extremely complex. lots of 11's, 15's, 17's, 19's etc, all against each other - which in real terms would have been impossible to play. it was a really difficult few days, i remember. we were rehearsed in abbey road and did the recordings down in some tv studios in twickenham and a young conductor called kent nagano was brought in as he had a fantastic reputation in california for coping with modern music and had worked with zappa in california! he, of course, went on to a permanent relationship with us becoming our associate guest conductor for many years (in the 90's) and became the halle's principal conductor. kent is a charming, laid back californian, who has amazing skills at sorting out difficult passages quickly and efficiently. he was remarkable. aj: do you own a copy of the cd? what was the general consensus of the orchestra? jl: i remember the orchestra being pleased with the end result but being absolutely exhausted! i do own a copy. he threw a champagne or drinks party at the end so he couldn't have been that unhappy! jl: no, it wasn't under rehearsed! there were 12 extra rehearsals before the concert day running from jan 7-10, with a barbican concert on the 11th january. i can't think of any other project that has had anywhere near that many rehearsals! we then had 6 sessions in twickenham after all this so it was given an extraordinary amount of time. 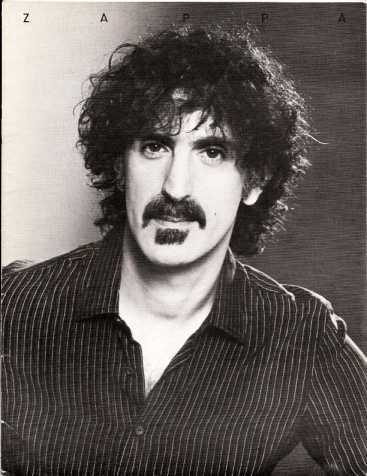 you're right in saying that zappa had this reputation of only accepting perfection! he was the most amazing man but had incredibly high standards. he did say some strange things about everyone he worked with, as i am sure you have discovered. you will hear the same from everyone who worked with him - you never forget the time one spent with him. you must remember that a lot of this was said by him after the event there was never any hint of a suggestion it did not go well at the time. aj: zappa's version of this tale is that in the last session, the entire trumpet section left the studios for a pub across the street, and came back fifteen minutes late and a little worse for wear. thus, strictly genteel needed a multitude of edits to minimise their 'additions' to the score. 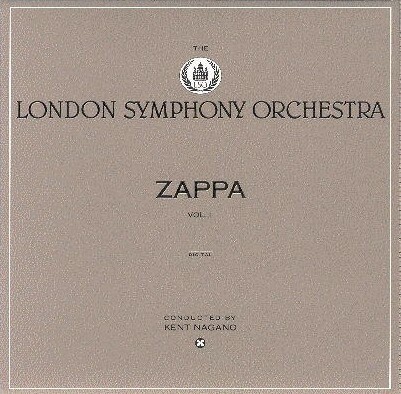 there was no way of getting the orchestra to make up the time at the end of the session, so zappa was left with a less than perfect recording. any comments on this situation? for the record, david ocker didn't think the problem was too serious, and i think the strictly genteel on cd is a good performance. jl: the trumpet story was not true. if it was he would hardly have provided drink after the last sessions. the lso is a self-governing orchestra and i can assure that a board takes swift action if any one ever does the sort of thing you're referring to. i have never known, in 33 years in the profession, of players making additions in recordings! we weren't short of time - he'd rehearsed it, performed it, and recorded it. the last session was only recording some bits again to get a better version. aj: did you talk to zappa yourself? any personal recollections? jl: i do remember that i talked to zappa but no recollections of him as a person i'm afraid. aj: was the recording technique really so unorthodox, eg each instrument with its own microphone, plastic domes with pzm mics etc? jl: no memories of the recording techniques i'm afraid. aj: how did zappa's musicians (ed mann, chad wackerman and david ocker) fit into the lso camp? did they get involved, or was it a case of 'the stars are here, so move over'? jl: the 'stars' as you say were perfectly happy to mix with us. we're all well used to mixing in the profession! you find that these players are just as much in awe of playing with one of the world's top orchestras as we are in having the chance to meet top pop artists. there is always a good atmosphere at such events. john is still a working member of the lso, and seems to enjoy it immensely.